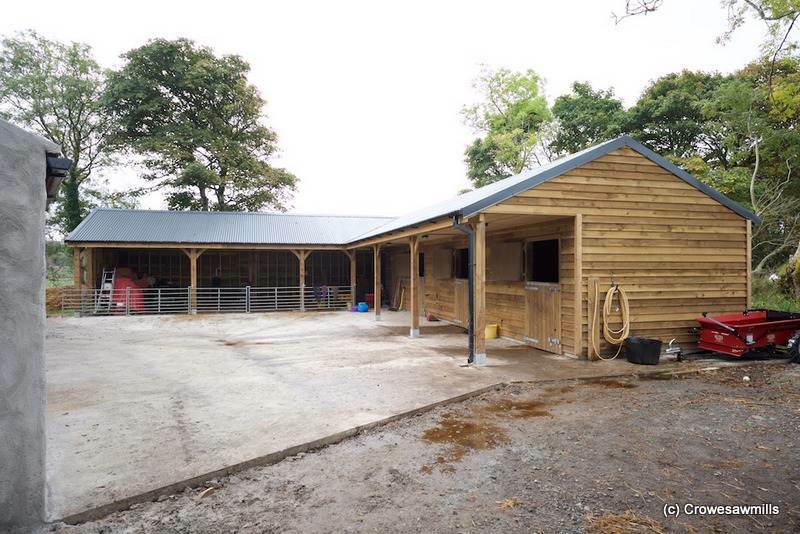 This stable unit comprised of 2 x 3.6m x 3.6m loose boxes, 1 x 3.0m x 3.6m and 1 x 2.4m x 3.6m Tackroom with an overhang of 1.8m. 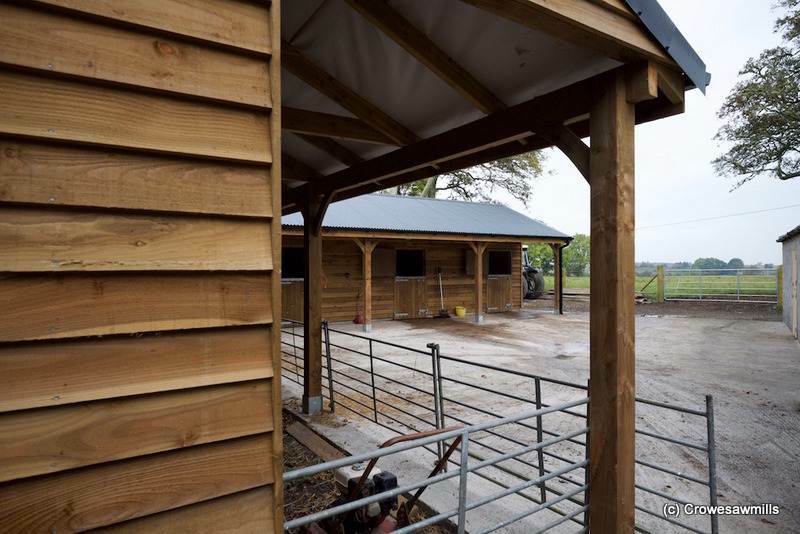 A storage shed measuring 14.4m long x 5.4m wide running at right angles to the stables. Stud work were 100 x 44 @ 400mm centres, rafters 125 x 44, cladding 150 x 22 Larch/Douglas Fir cladding. Heavy duty Stable Doors were fitted, with gutters black pvc. Felt was fixed on top of rafters with .60 steel corrigated sheeting slategrey. Build time approx. 5/6 weeks. This unit was built in February 2016.